Dr Pankaj Gupta is considered as a Key Opinion Leader on eHealth. Dr Gupta comes with a rich combination of strong management skills, software experience and medical background. For over 2 decades he has been working in Healthcare Technology business and Healthcare process standardization. This includes experience of starting and leading Healthcare Consulting and eHealth units @ Perotsystems, Max Healthcare, Infosys, FCG, and Cerner. Dr Gupta has run his own primary healthcare practice before getting into IT and senior management roles. Dr Gupta is a avid blogger and lots of CxO level people are regular followers of his blog. Dr Gupta is the LinkedIn SuperGroup owner with about 40K members mostly from Director and CxO level across US and Globally. Dr Gupta has sponsored healthcare Conferences in US by using knowledge currency in terms of providing access to the LinkedIn SuperGroup. He has managed IT Departments of Hospitals and delivered business transformation by process standardization. Dr Gupta also has extensive experience in Bioinformatics, Drug Discovery, Clinical Trials and FDA standards. 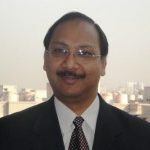 Dr Gupta is the Founder Director Taurus Globalsourcing Inc. and Taurus Glocal Consulting – eHealth and Healthcare management consulting companies. Taurus Glocal is currently working with leading hospitals, clinics, public health, technology companies and private equity funds. The function of the IoT Community, is to focus on the adoption & application of IoT in commercial environments, seeking to understand & contribute to applying the technology or overcoming the wide variety of barriers, inhibitors, and technical & operational issues. As a member of the board, Dr Gupta will provide impartial input and guidance to the overall vision, strategy and execution that is helping to shape the current and future direction for the IoT Community, as well as the broader IoT industry.